True or false: your automatic garage door is secure because no one can get in without a code or garage door opener. The answer? False. There are several ways burglars can break into a garage, even one with an automatic door. We’ve got 10 tips and recommendations to follow so you can keep your home and garage safe. Our number-one tip is to make sure the garage door does not get left open, especially when you’re not home. While this seems like an obvious suggestion, it’s easy to shift to “autopilot” mode when you’re rushing to work in the morning. Adding technology to your garage is a great way to help you make sure your garage door is closed when you’re not home. 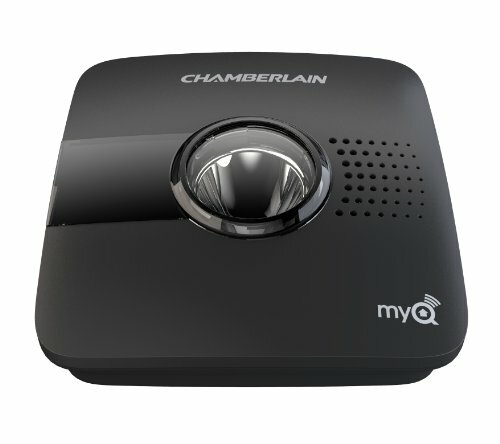 We recommend the Chamberlain MyQ system, which lets you remotely monitor your garage door from the free app (for iOS and Android). The MyQ system includes a garage door sensor and an internet hub that you install inside the garage. It integrates with Nest products and XFINITY Home, so it’s a great option if you already have smart home products. The fact that the MyQ system is compatible with virtually all garage doors manufactured after 1993 sets it apart from the competition. The MyQ can control up to two garage doors, but you will need to purchase a second sensor (under $50 on Amazon) for the second garage door. If you have a more recently manufactured garage door with the MyQ logo on the opener, it may already have the technology installed, so you can purchase just the internet hub ($49.94 on Amazon) to control your garage door from your phone. The main drawback to MyQ is that you can create only one account for your system, so only one phone will receive notifications when the garage door opens and closes. For families with lots of people coming and going, this may be less than helpful. But because MyQ lets you check on the garage and control it remotely, and it is widely compatible, it is still our top recommendation to make sure your garage door is closed when you need it to be. A garage door timer is also an excellent device to help you make sure that you never forget to close the garage door after you leave the house or even when you come home. Of course, there are times when you’ll want to leave the garage door open for an extended period—like if you are working in the yard or cleaning out the garage—so a good timer can easily be turned off temporarily. We recommend the Magic Closer Automatic Garage Door Closer because it’s easy to install and use. It has three settings that prompt the garage door to close after 5 minutes, 15 minutes, or 6 hours. It also has a clearly visible “off” button, so leaving the garage door open for a project isn’t a problem. 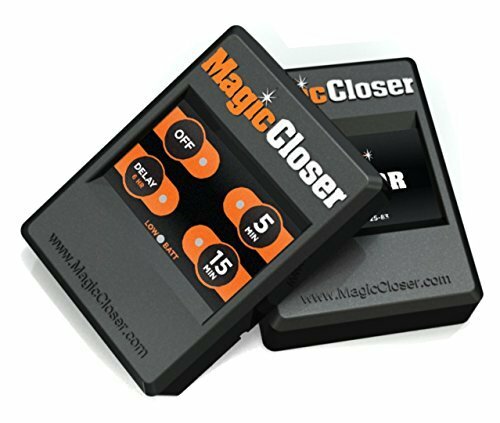 The Magic Closer is compatible with virtually all automatic garage doors manufactured after 1993, though it’s not recommended for garage doors made after 2012 with additional advanced technology (such as MyQ or Security+ 2.0 technology). The Magic Closer isn’t fancy or complicated, but it does its job reliably and with minimal hassle. While windows are great sources of natural light in a dim garage, they also give thieves an easy way to see if anyone is home and check out what might be worth stealing inside your garage. We recommend either covering up the windows with something like blinds or frosting the windows so that light can still come into the garage but no one can peer in. You can do this with a spray, like Rust-Oleum Frosted Glass Spray (under $10 on Amazon), or with an adhesive film, like DC Fix Self-Adhesive Window Film ($7.90 on Amazon). Both options are inexpensive and easy to apply. Just as important as securing the garage door is securing the door leading from the garage to the house and any side doors leading to the garage. Treat these doors like main entrances into your home and make sure they are as secure as your front door—solidly constructed, securely locked, and routinely checked. Keep the doors locked when you’re not home, even if it means taking an extra minute or two to get into your home after work. Consider getting a smart lock to make the entrance that much more secure. We also recommend installing a door viewer or peephole like the Stanley Door Viewer. That way, if you suspect someone is in your garage, you can check without opening the door and alerting the thief. A wide-angle door viewer is ideal so you can see as much of the garage as possible. The Stanley Door Viewer fits doors between 1 ⅜ inches and 2 inches thick, so remember to check the width of your door before purchasing to ensure the right fit. Another commonly overlooked tip is to avoid leaving your garage door opener in a visible location in your car. You wouldn’t leave your house keys in your car, so why make the key to your garage (and therefore the rest of your house) easily accessible to thieves? Keep the opener in a discreet location in your car, or, even better, get a garage door opener that attaches to your keychain. Make sure the keychain remote matches the type of garage door you have and that it uses rolling code technology. 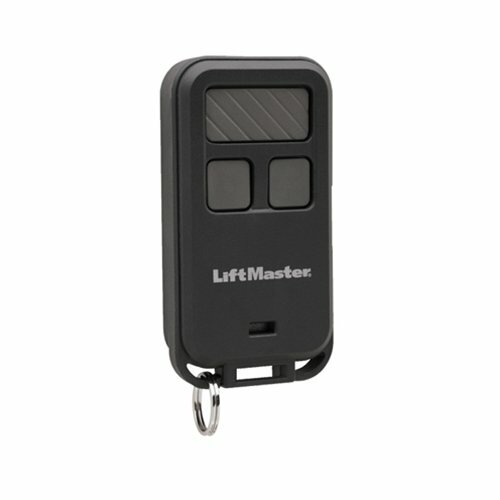 * The LiftMaster Mini Keychain Garage Door Opener has all the qualities we recommend and would be an excellent choice for a compatible LiftMaster garage door. *Older garage door openers use the same code every time they open the garage door, but tech-savvy thieves could steal that code and duplicate it to break into the garage. Modern garage doors use rolling code technology, which generates a new code every time the garage door opener is used. To find out if your garage door uses this technology, check the serial information and look for Security+2.0, Intellicode, MyQ, or even the words “rolling code” to confirm. One of the best ways to deter thieves from targeting your garage is to make sure the outside of your home is well lit, and installing motion-activated lights is the best way to do that. Because you don’t have to leave the lights on all night or worry about turning them off in the morning, you save money and energy and extend the life of the lightbulb. For help choosing a great motion detector light, check our best security lights article. For outside your garage, we recommend the MAXSA Innovations 40218. 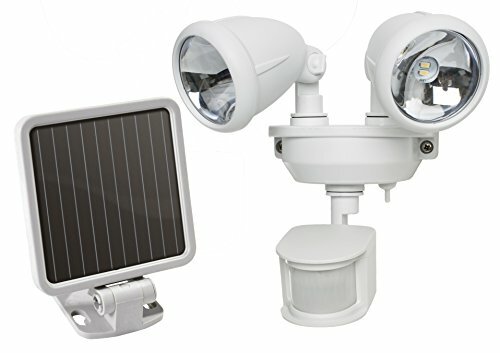 It has two adjustable LED lights for more coverage and a detection range of up to 40 feet. It is easy to install and has several customizable settings—you can determine how quickly it turns off, the range for motion detection, and the amount of darkness needed to activate the light. Some consumers reported that because it is not completely waterproof, the MAXSA performed inconsistently in the rain. If you live in an area that sees more rain than clear skies, another motion-activated light, like the LAMPAT Waterproof Wireless Solar Light ($39.99 on Amazon), will probably be a better fit. Otherwise, the MAXSA is an excellent choice to deter would-be burglars. You can add another layer of security to your garage by simply installing a lock on the inside of your garage door. While this is not a convenient option during a busy day as you come and go, it is perfect for when you’re on vacation or even just home at night. We suggest using a sliding bar lock, which is inexpensive but effective in preventing the garage door from rising. We like the Prime-Line Products GD 52118 Inside Deadlock. 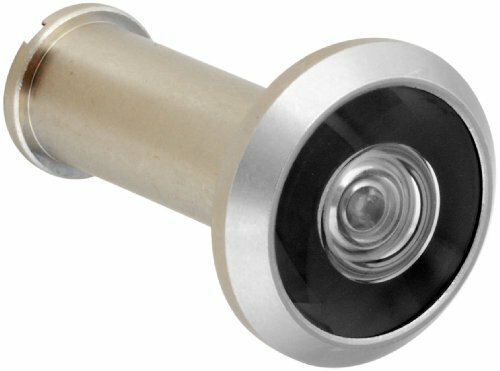 This lock attaches at one side of the garage door track, and when the lock bar is extended, it prevents the wheels of the garage door from traveling up the track, either automatically or manually. You can install the lock yourself, though many users reported that they had to purchase additional hardware for it. 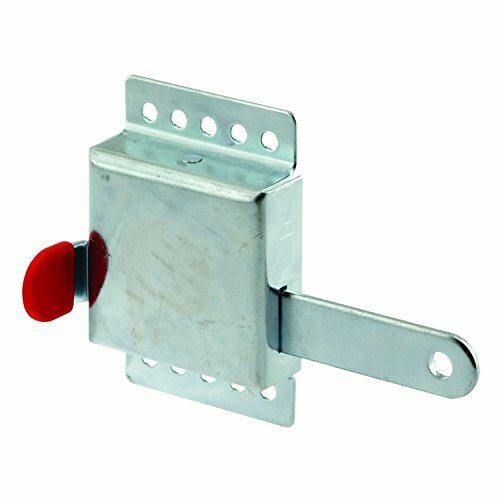 The lock is sturdy and works with a wide range of garage doors, but be aware that it is not universally compatible. Several years ago, a video was passed around the internet that demonstrated how thieves could quickly and easily disable an automatic garage door. The video showed that by wedging open the top of the garage door just a small amount, a thief could slip a coat hanger through the gap and use it to pull on the emergency release on the door inside the garage. After that, they could manually open the garage door from the outside. 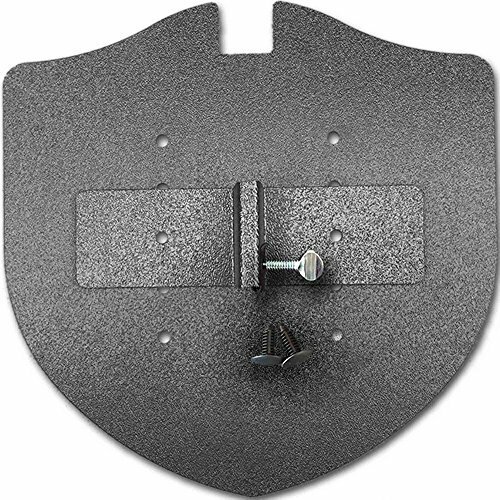 In order to protect your home from this kind of attack, we recommend the Garage Shield, which attaches to the emergency release bar to shield the release handle from attack. It’s a one-time purchase that shouldn’t need to be replaced, and it doesn’t require any additional tools for installation. The only consistent complaint we found is that the shield and components are made of plastic, not metal, so it felt flimsy. However, the shield still performs well, regardless of the materials used. Note: Some sources suggest securing the emergency release to the overhead bar with zip ties to prevent the garage door from easily being released. However, the International Door Association (IDA) strongly advises against it, as it creates a potentially unsafe situation and is against federal standards for garage doors. If you already have a security system, find out if your company has a garage door sensor or other options that will help you keep tabs on who comes in through the garage. One of the best things you can do to protect your garage door is to set up a monitored security system with a garage door sensor. If you don’t already have a security system in place, we highly recommend getting one. You can check out our top-recommended home security systems. If you already have a security system, find out if your company has a garage door sensor or other options that will help you keep tabs on who comes in through the garage. The biggest advantage of using a monitored security system is that you know that someone else is watching to make sure your home stays safe. If the worst should happen, you know that backup is available to help you right away. Because a garage door is easy to leave open and has some general security risks, the extra protection is absolutely worth the cost. Burglars and thieves are generally opportunistic, so don’t give them the chance to take advantage of an open or unsecured garage door. There are many common sense ways to protect your garage—like keeping the door shut, covering the windows, and adding lighting—in addition to several products that will greatly enhance the security of your garage. Take time to evaluate your garage’s weakest points and do whatever is necessary to make it safe. What do you do to keep your garage secure?